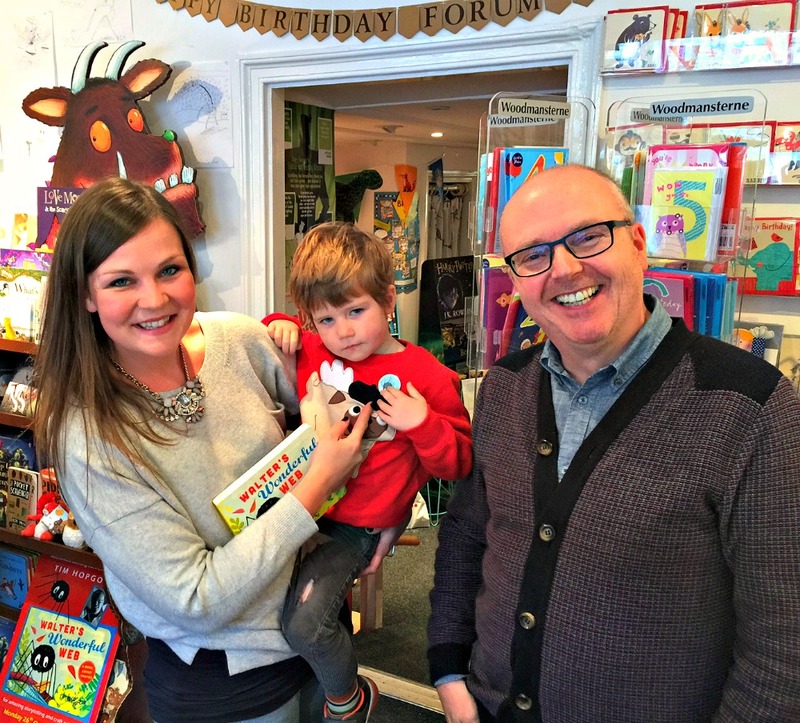 This time last week, Reuben and I were heading into the village of Corbridge to meet a special guest at the (oh so wonderful) Forum Kid’s Bookshop; Tim Hopgood and his latest creation, Walter’s Wonderful Web. It was lovely hearing Tim read. 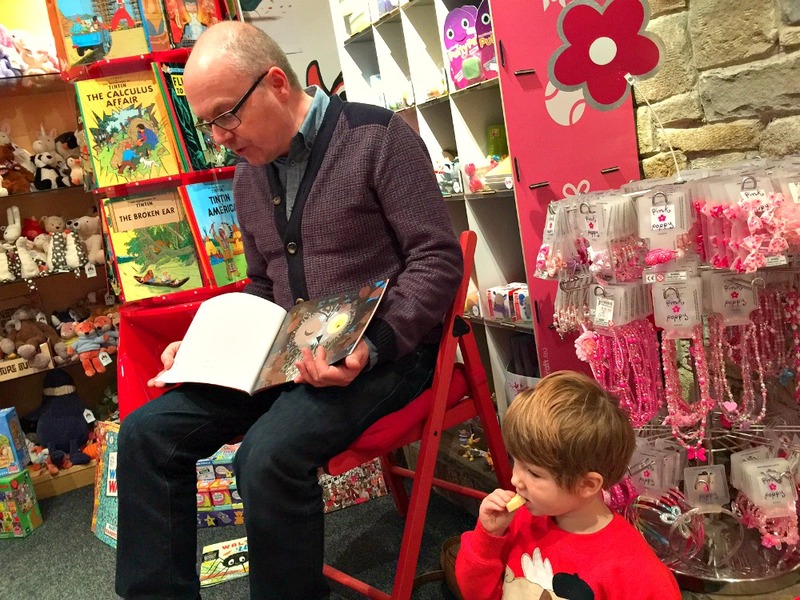 Not only do his stories and pictures capture little ones’ imagination but his storytelling was amazing too. During ‘Wow! Said the Owl’ he had every child (and parent!) in the room covering their eyes and then shouting ‘Wow!’ at each page turn. Really magical. 1. I love the background you give to each of your books on your site – what was the inspiration behind your latest story, Walter’s Wonderful Web? The idea for Walter’s Wonderful Web didn’t come to me in flash of inspiration, it was one of those ideas that gradually came together. Pre-school books about shapes can be quite dull so it was more of a problem-solving exercise, working out how to weave a little bit of humour and magic into a book about shapes. Although I then had to convince my publisher that it was possible to make a spider look endearing! I based Walter on a soft, velvety toy that my now grown-up son had adored as child. 2. Walter’s wonderful Web is a book about shapes, and our other household favourite, Wow! Said the Owl, is a book about colours. Do you always aim to have a learning element to each of your stories? Walter and Wow! 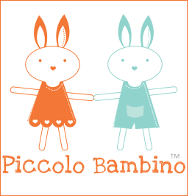 are both concept books written for early years, Hoppy and Tip Tap are also part of my early years series and each has a learning element although the main purpose is to entertain. My picture books for slightly older children like Our Big Blue Sofa, A Dog Called Rod and Here Comes Frankie don’t have a direct learning element, but hopefully they encourage and inspire readers (children and adults) to see the world in a more imaginative way. 3. 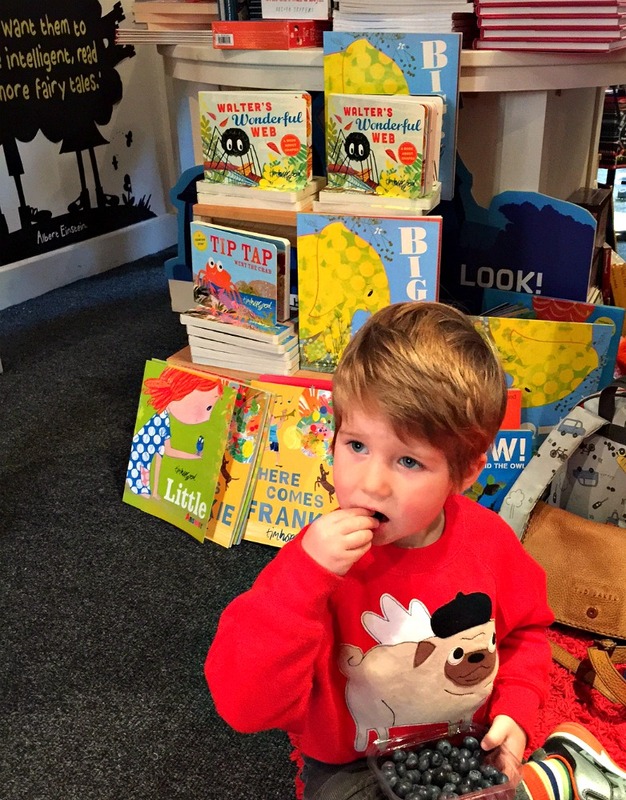 What were your favourite books as a child and do you have a favourite illustrated character? As a child I was a huge fan of A.A. Milne; I remember my teacher at school reading the Winnie The Pooh stories and the poems and as a child I loved the boundless enthusiasm of Tigger! 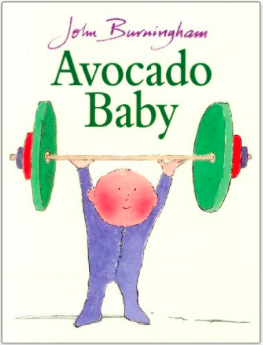 I rediscovered picture books when my children were little and have always admired the work of John Burningham, Avocado Baby was a favourite in our house. 4. Which authors and/or illustrators inspire you now? Illustration in the UK is enjoying a real boom time I’m a huge fan of contemporary illustrators like Chris Haughton, Neal Layton, Bruce Ingman, Christian Robinson, Jon Klassen and Marc Martin. Seems funny to think that not that long ago, with the arrival of the internet, everyone in publishing was discussing the end of print! The arrival of the internet has heralded a new visual era and I think that’s why there’s been such a growth in illustration and the range and variety of styles has really blossomed. And yet at the same time there’s also been an underlying desire to look to the past: I guess when we become unsure about the present we tend to look to the past for influences and direction and that’s probably why mid-century modern has had such a strong influence on all aspects of design. Recently I’ve started collecting books from the 40s/50s and 60s; I really admire the work of Roger Duvoisin and another favourite of mine is Leo Lionni. 5. 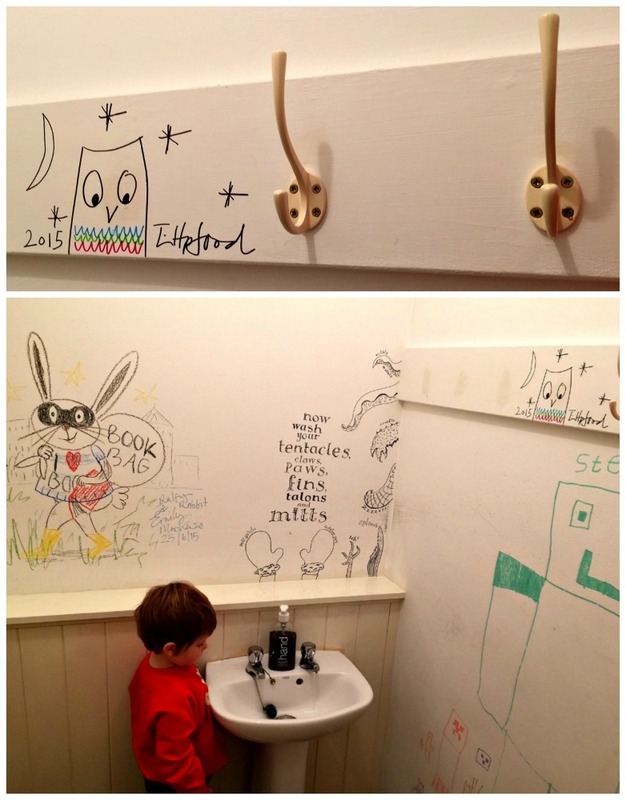 When did you know you wanted to be a children’s author and illustrator? And what were you doing at the time? I trained as an illustrator back in the early 80s, but after I left my degree course I couldn’t find enough work to make it a full-time career so I went into design and a couple of years after graduating I joined the design dept. at Vogue magazine. I later set up my own design studio working for a whole host of leading UK fashion retailers. It was when my children were young that I rediscovered picture books and by this stage in my career as an Art Director I had discovered a love of words and my ability to write copy, so creating picture books seemed like a perfect mix for me. It wasn’t until my early 40s that I eventually took the plunge (stopped watching EastEnders) and started working on ideas for picture books instead. 6. Stephen King says his first reader is always his wife and that’s who he writes for. When you create a story, do you have someone in mind? The first person to read my texts is always my wife. It’s an interesting stage hearing someone else read your words out loud for the very first time. It’s at this point that you can sense if something is working or not; often I’ll be frustrated that it doesn’t sound right, by that I mean it doesn’t sound as it does in my head! so that tells me something is wrong and that I need to rewrite it. As for having someone in mind, no, I write for me, I write about things that I’m interested in, but in a way that I hope will entertain and inspire young readers and grown-ups too! 7. I LOVE the concept of your half idea box for new stories. How often do you add to the box and how frequently do you look back? Do you have set times or targets (I’m thinking of the ritual for writing 10 ideas a day) for coming up with ideas or is it more haphazard? My writing process is very haphazard. I can go for weeks and not write anything and then write two stories in one day. The idea of an IDEAS BOX is just a way of making sure I write things down and keep my ideas in one place. It’s stuffed full of random bits of paper, some with just a line of text and then other ideas are more fully formed. I go through the box about once every two months, shifting through the papers and if I find I’m drawn to a particular idea, if I keep returning to it, I will take it out of the box and develop it further. It’s normally endings that I struggle with; making sure the story ends in a satisfying way takes time. 8. Finally, have you started working on a new book yet? And if so can you give us a clue as to what it will be about? I’ve just finished illustrating the classic song Walking in a Winter Wonderland as sung by Peggy Lee which will be published next autumn by Oxford University Press and I’m working on an art activity book for Macmillan. And I’m very excited about Wow! Said The Owl being adapted into a show by the Little Angel Theatre in London (opens December 2nd and runs until January 31st 2016), seeing my work transferred to the stage has been a fascinating process. Thanks so much to Tim for such thoughtful answers and taking the time for this interview. And, to Forum Books for organising for him to come in the first place! 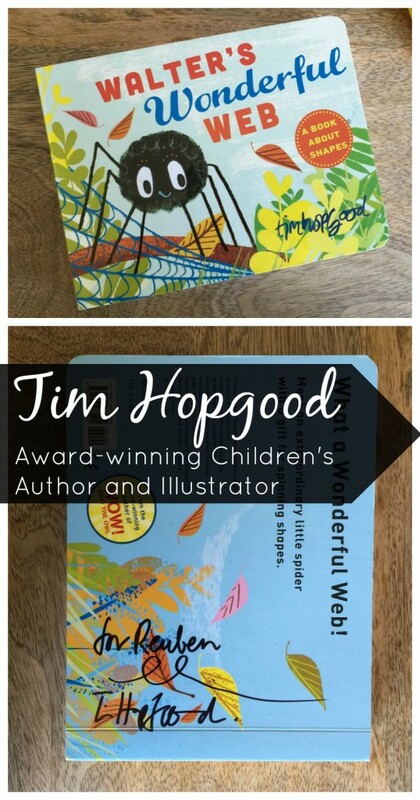 Which is your favourite Tim Hopgood book? 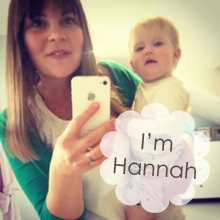 I’d love to hear your thoughts either in the comments below or come and chat over on the Mums’ Days Facebook Wall.